July 29, 2017 April 17, 2019 - by Sourabh Kumar - 2 Comments. 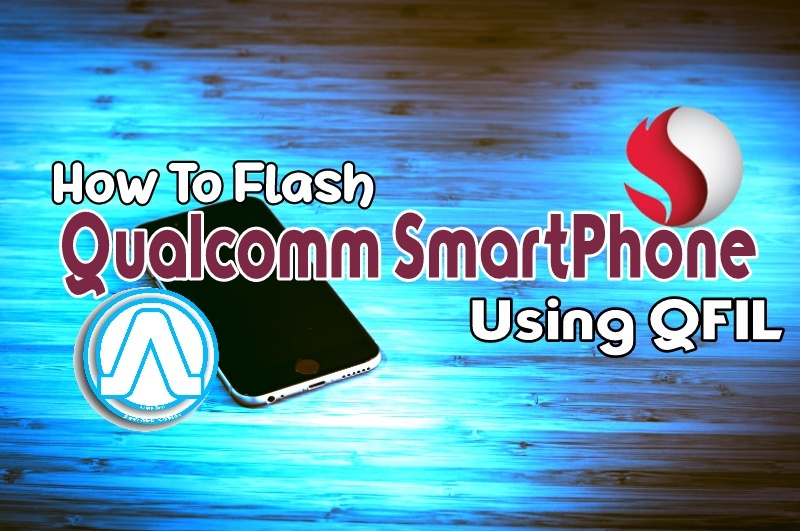 As You Know We At We Observed Started with Articles to Repairing MTK devices then moved to some rooting and repairing guides than in the previous post we published an article about flashing Samsung Devices and now we are moving to Qualcomm Devices.So In this Post, We will talk about How to flash Qualcomm Devices. Flashing means installing The Android OS on the Supported Device.Flashing is used to install Stock ROM of that Device, Unbricking an Android Smartphone and Manually Upgrade Any Android Device.Sometimes the upgraded version of Android OS for your phone is available on the net, but not visible in phone upgrade menu so flashing also can help you in upgrading your smartphone manually. Flashing is performed with the help of Flashing Tools.There are many types of flashing tools available according to the Chipset used in the particular device.For Example for MTK Smartphone there is SP Flash Tools, for Samsung Smartphone there is Odin Flashing Tool, and to Flash Qualcomm, there is QFil, Qcom Phone Download Tool, Qualfast, eMMC DL Tool, Xiaomi Mi Flash Tool. and GNQC Download Tool. Now Before everything here is the method to know that is your smartphone is Qualcomm based or not. How to Know that Your Android Smartphone is a Qualcomm Device or Not? Method 2 is very simple and it is the only way to know that Your phone is MTK Device or not, when your phone is Bricked or not Accessible.In this method, you just have to type Smartphone’s Brand name and Model number on the Google Search Bar and click on Search button.By using this method you will get all of the information about your Smartphone Easily. Now, after confirmation that your smartphone is Qualcomm based device, let’s move to the main part of this post We are using QFIL Tool to manually upgrade or flash Qualcomm Android Smartphone. Qualcomm Flash Image Loader is created by Qualcomm Mobility LLC.Qualcomm Flash Image Loader allows users to easily load the Qualcomm based stock firmware (.mbn) on the tool and flash it on the Smartphone and Tablets easily in one click. QFIL only supports smartphone and tablets which are having Qualcomm Chipsets only.QFIL support Almost all Android smartphones having Qualcomm Processor/Chipset.It is compatible with Windows XP, Windows Vista, Windows 7, Windows 8, Windows 8.1 and Windows 10 (x86 or x64 bit).The best Part of this tool is that, If you are flashing the stock firmware using QFIL then you can see the complete log in the log box of the application. Which will help you to investigate the errors, if you got any. This Tutorial/Guide is for Qualcomm Flash Image Loader Version 1.0.0.3 for lower version steps will be different and longer. Your personal data will be deleted after flashing the stock firmware using QFIL Application. If QFIL hangs at setting up connection just unplug the USB cable and reattach it, QFIL should now resume. Flashing is sometimes risky so TRY IT ON YOUR RISK.We are not responsible for any damage. Once Flashing process is completed your device will be reboot automatically. Now Click On EXIT Button at Bottom of the Tool and disconnect your device from the computer and setup everything on your device to use it. That’s it! I hope you can successfully Manually upgrade or flash Qualcomm Devices using QFIL Tool and all above steps.These steps are common for Most of the Qualcomm Android Smartphone.You just have to take care of Drivers, Warnings, Precautions and all the steps.Flashing can solve some common problems like repairing Bricked and Non-Bricked Smartphones, Upgrading to the newer version of Android etc. At the same time it is risky because if you flashed a wrong file or tried to downgrade to an older version of android then it can seriously damage your smartphone so take care of all the precautions. If you liked the post share it with others and if you have any suggestion, doubt or advice related to this post use the comment area.Keep visiting. Hello there, thanks for your very educative post. I have one question though; do I have to hold the volume UP button throughout the flashing process or just at the point of connection to the PC? Hello Emmanuel! Hold the volume button just at the point of connection to the PC. The phone will vibrate once or screen will flash once thats it.